"Greetings! I'm Professor Oak! Are you a boy or a girl?" Thus begins a brand new campaign involving the Terrible Warriors jumping into the world of Pokemon! Steve, Erika, Cassie, Orie and Shane are new Pokemon Trainers, tasked by Professor Oak to not only collect and catalog every single Pokemon, but they are recruited to end the cruel reign of terror at the hands of Team Rocket. 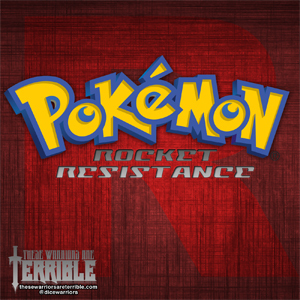 Our Terrible Warriors must locate a secret facility believed to be genetically modifying Pokemon by Rocket. Will they succeed in saving Kanto? Listen to find out! Gotta Catch 'em all!